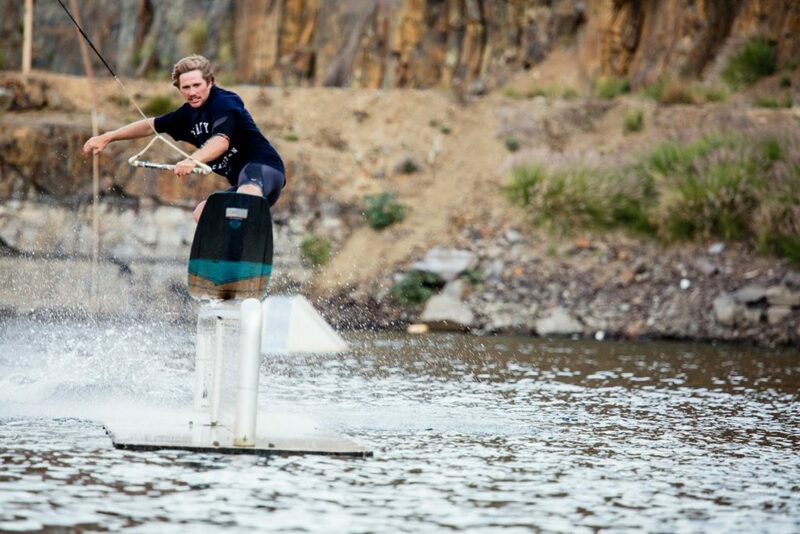 An Amanzi Exclusive with wakeboard junkie Jason Coulborne from the Dirty Habits Team. Do you want to tell me a little bit about yourself? I got into wakeboarding probably about 12 years ago. One of my mates was wakeboarding at a cable park in Gordon’s Bay. One day I went there and I was hooked. I spent all Summer there – kept on doing it, met new friends, and eventually started competing. Now I’ve moved from Somerset West to Blouberg and opened up our Dirty Habit’s Wake Park, Hillcrest in Durbanville! 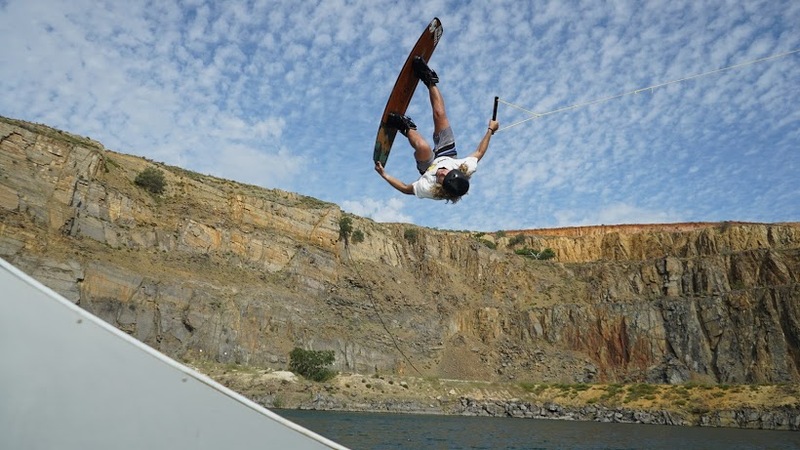 What would you say are the physical demands of the wakeboarding lifestyle? I was never one to do cardio or go to the gym. So wakeboarding was my exercise and a way of having fun, which is pretty cool. It is very taxing on the body. I’ve already blown both my knees. So now that I am older I can’t do wakeboarding with the same intensity I used to when I was 18 or 19. Knees are a very sensitive topic in water sports – kiters and wakeboarders all know that there can be a lot of strain on your joints. Okay, what kit do you need to wakeboard? In Summer we don’t use a wetsuit and in Winter we do. Generally, you have your boardshorts, wakeboard, boots, life-jacket and a helmet, if you are hitting obstacles or rails. I obviously have to put knee-braces on as well ah-ah. That’s about the prep work. In terms of boards, it is very much a personal preference. There are different stances. A stance is how far apart your feet are on the board. This can vary with age, height and ultimately, what your preference. Some guys ride wide, some narrow. Some guys prefer bigger boards. I prefer a bigger board, as I feel like the landings are softer. Others feel bigger boards are too heavy, so prefer smaller boards. But generally, the shape of a wakeboard is very similar – it’s ridable both ways – so it’s the same shape on both sides. Some boards are flatter, but yeah. Want to walk me through a wake boarder’s ritual? Back when I was competing I would have the competition format on lock. I would make sure I knew the best tricks I could do in a row. Then make sure to get them super consistent, ’cause you only get one chance at a contest. So competitive wakeboarding is all about consistency. Now, that I don’t compete anymore, I enjoy freeriding – kind of just going out there and expressing myself, having fun, doing tricks. Tricks that I think, feel and look good, but maybe aren’t very technical from a judge’s point of view. 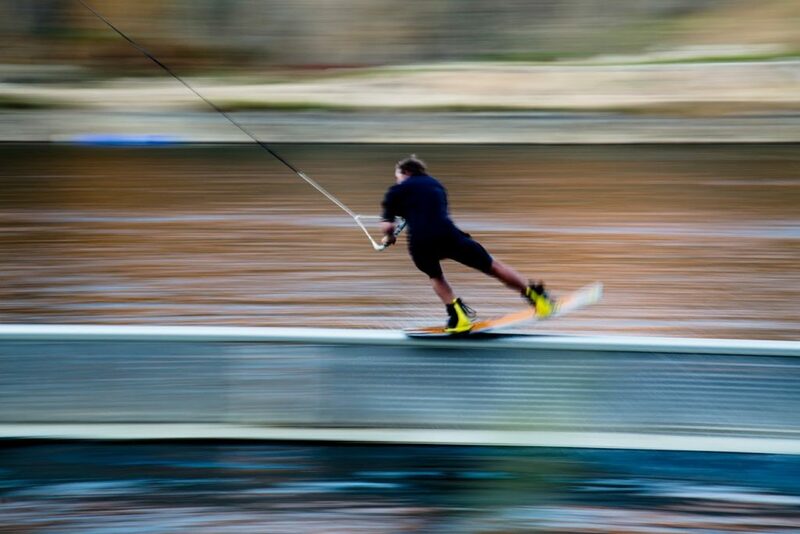 Do you feel wakeboarding is progressing as a sport and a platform? There is a ‘street side’ to wakeboarding, where you can find any piece of water. You can set up wakeboarding anywhere- we do it on the beach, floods – which is a worldwide thing. 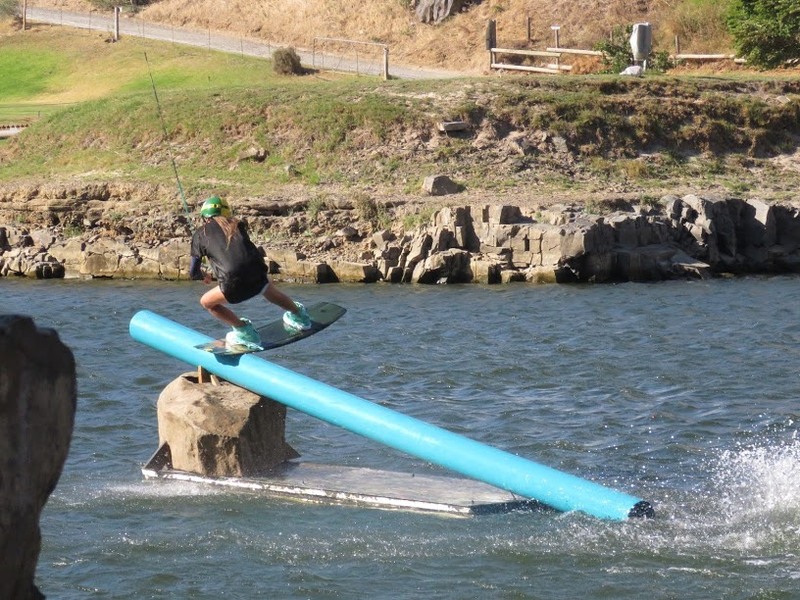 On the other hand, the cable wake parks are very accessible and inexpensive, so anyone can try, as you can rent gear there. Boat wakeboarding is obviously where wakeboarding started. However, boat wakeboarding, as a sport is dying because you need a very expensive boat and the fuel is expensive – and it’s like this worldwide. It’s just too expensive for kids to ride, or be competitive behind a boat unless they are really good or parents have money to send them to a wake school, and it that way get sponsors earlier on. Cable wakeboarding is definitely the most accessible. At the park [Hillcrest Quarry, Durbanville] we try to encourage people who never been to ride for free – just to let them try. We have a lot of kids coming today – I am actually going there after this interview. We have people who are learning, some who just enjoy the fun aspect of it. I really like to push the younger kids because obviously, that is what hooked me when I was young. Do you want to tell more about your wake park? It’s Hillcrest Quarry – it’s a small body of water. We have two towers set up with a cable, we have obstacles in the water. One rider at the time – and it is super easy for learning. We always have an operator who controls the cable speed, if you’ve never done it before. So it’s not as intimidating as other places. It’s pulling you very much out the water and there are operators watching you. That system can help prevent, and avoid, hard falls, which are often what puts people off. They ride in front of us, so we can see exactly what they are doing wrong and help them improve. At Hillcrest Quarry, if you fall, you don’t have to waste time swimming, take your stuff and walk all the way back. At our wake park the panel stop is right next to you, so you can grab it and you can immediately go. So everything’s fresher in your mind. What kinds of obstacles do you have? We have three obstacles there, on which you can go both ways. We have a beginner’s one called the slider. Then we have an incline rail, which is for intermediate riders. And then, we have the ramp. Once you have board control, and once you can hit the slider, you can manage the ramp. I have seen people hit the ramp on their first day. Sometimes it takes people a bit longer. But I mean, you can hit the rail and ramps in unique ways, which is also fun for more advanced wakeboarders. If you want to jump big you can, if you want to jump small you can. It’s for any level and it is more about how you use the obstacle. How long would it take for someone to get to an advanced level? On average, if you ride a lot and have some natural ability, it will take something around 3 to 4 years to get to the top – in South Africa anyway. If you have good body awareness, good sense of balance and good people to teach you – that helps a lot. 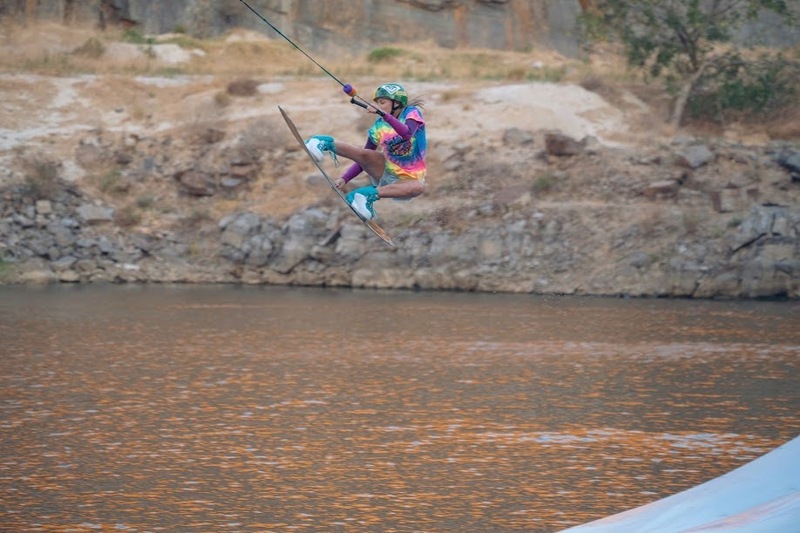 How does South Africa rank in the wakeboarding world? The last time I went to an international competition in 2012, as I am old now ah-ah. We ranked twelfth, with a team of 8 riders. I think there were 43 countries competing. How much do you charge at the park? It’s R150, inclusive of gear if you don’t have. It’s supposed to be for a 15 minutes session. It sounds short, but no one makes 15 minutes! When people come for the first time I tell them ‘ you can ride till you’re dead’ and then once you’re done we’ll see. On average they last 10-12 minutes. In other parks, you spend a lot of time swimming and standing in the queue, whereas with us you keep the momentum. 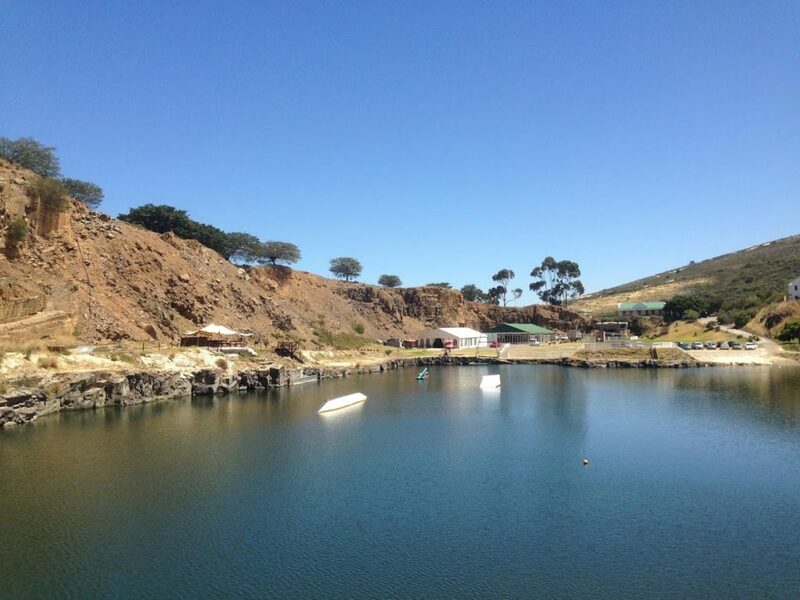 Any advice you want to give wakeboarders in Cape Town? Umm, yeah – it’s hard times now, so you got to keep pushing through. Come ride with us at the park! We just want to get people in the water. If ten percent of people get hooked as I did, then my job is done! I’m happy. Curious about wakeboarding or want to improve? 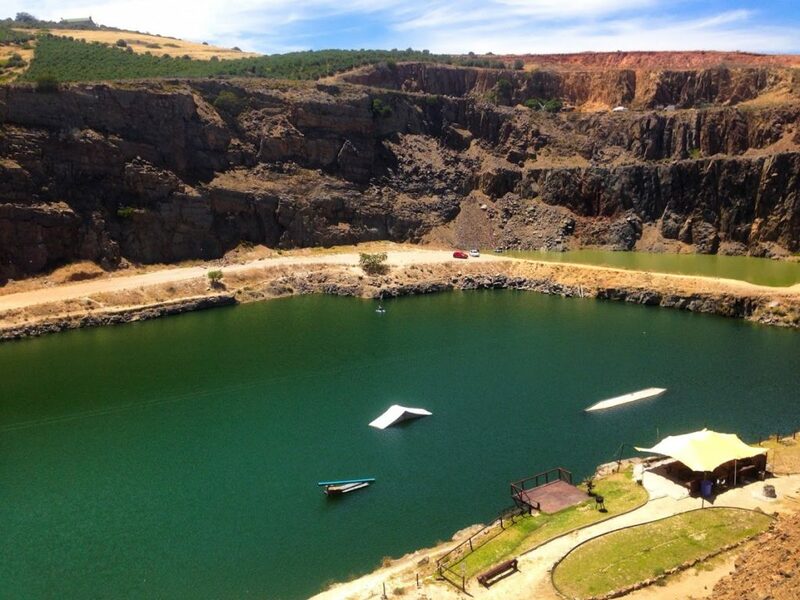 Or simply meet South African wakeboarding professionals? Get in touch with Jason and the Dirty Habits team! They will sort your water sports craving out.